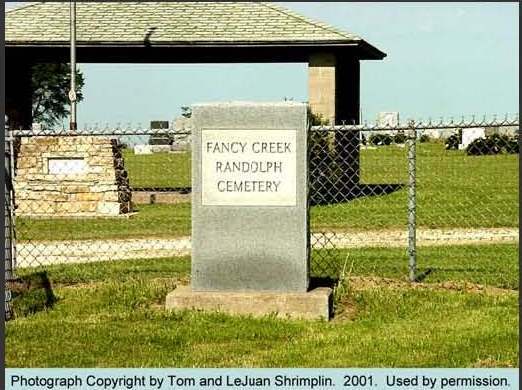 Historical Note: Randolph was settled in the mid 1850's by the Swedish who were soon followed by the Swiss and Germans. Jacob Secrest, born 31 October 1794 and died 21 November 1863, appears to be the first burial. Directions: From Randolph, take Highway 77, north about 6 miles. This cemetery is on the left (west) side of Highway 77, between Rose Hill Road and Prairie Rock Road.